In the past century : 70-150 years ago visionary folk , many called “strongmen”, urged industrialised & urbanised folk ( many of whom suffered health problems caused by overwork , poor nutrition , overcrowding and poor sanitation ) to revisit their ancestral roots by practising frequent, natural patterns of movement and breathing Often , this was promoted as generating vigour , an essential quality ensuring survival of the species. The writings and performances of these strongmen undoubtedly assisted them maintain a decent material standard of living, but the methods and conclusions were based on logic and frequent practise ( as well as plagiarism of ancient Greek , Roman & Oriental methods ). It certainly pays to read some of this . 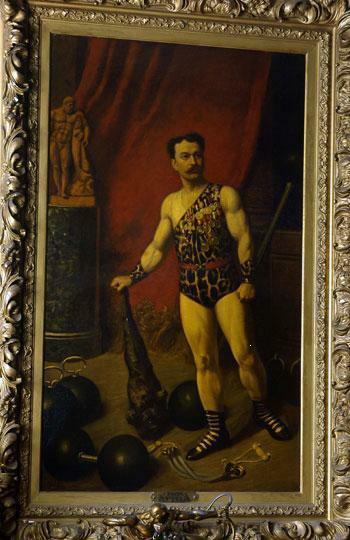 In the 19th & early 20th centuries kettlebells were used by “circus strongmen” both as a training tool and as part of the stage act. Some were enormous and filled with sand ; more a showpiece as clearly impossible to transport & lift if cast from metal. The more manageable sizes were favoured by those strongmen who required tremendous strength & flexibility where “odd” lifting feats utilised humans , animals such as horses , rocks , iron girders and sometimes a combination of the above. The travelling strongman/showman required portable training aids and importantly , a means by which movements involving sublime muscle control and body stabilisation could be practised. Kettlebells were a convenient and highly effective method of obtaining & maintaining grip endurance and strength flexibility. In addition , they were a favourite prop in the studio setting. 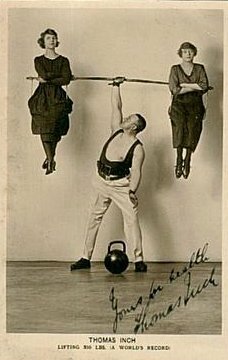 material and marvel at the highly tuned, natural physiques and to this day , often unsurpassed feats of strength , balance and vigour . Only a small percentage of regular modern gym users can display even modest feats of balance, strength and endurance. 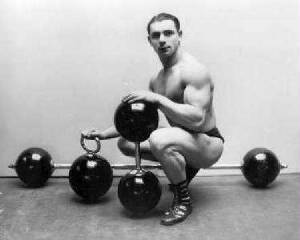 This imbalance is corrected with old fashioned kettlebells! They worked for me! 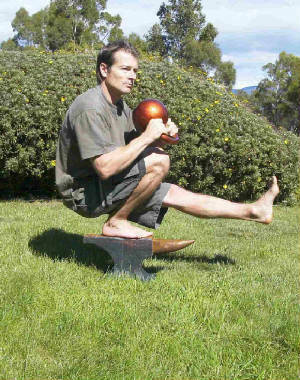 The one legged squat ("Pistol") : 24kg bell and done on an anvil for added fun!